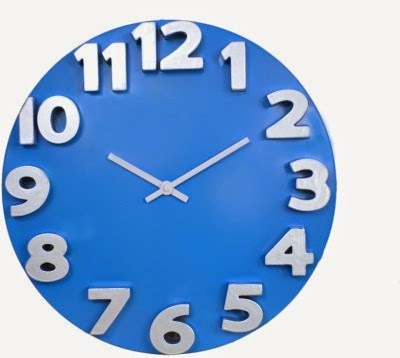 Flipkart is giving away all the awesome designed wall Clocks at unbelievable price of 299 Rs. Whatever the price is 1000 Rs, 999 Rs, 699 Rs or 1099 Rs. you can find your favorite wall clock at the cheapest price of just 299 rs. You are getting more than 70% discounts on most of the Wall clocks in antique style. This flipkart wall clocks deal is active for a very limited time period. 3D Analog Beautiful antique style wall clocks from the Brands like Panache, Blacksmith, Basement bazaar and Beign Nawab and that's in just 299 Rs. You can't Buy these watches at this type of price in india anywhere on other websites or in the market. So, a great chance you to decorate this utility product on your home's wall. Great use of these analog beautiful designed Wall clocks can be in the kitchen, living room, office, dinning area or you can also gift to your friends too. For more amazing deals, discount offers and freebies, keep visiting all india coupons.